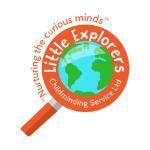 I am a mother of two little girls and an Ofsted Registered Childminder with over 10 years of experience working with children of all ages, in different settings; nurseries, primary school, after school clubs, holiday clubs and secondary school. I follow the Early Years Foundation Stage Curriculum and do a lot of outdoor activities and outings; Libraries, Children centres, soft play, parks, museums, art galleries, farms and much more. I have a car and use suitable car seats for all children. I have a relaxing front room for children to do quiet activities, watch TV and for stories & circle time. I also have a big play room with activities set up for independent free play and to help develop the seven areas of learning. I have a wide range of resources for all ages and genders. I have a fun, welcoming, bright and colourful home which children love playing in and they instantly feel at home. I have public Liability Insurance. I hold a level 3 childcare qualification including First Aid and Child Protection training. I have qualification and training in behavioural management course and training and other childcare related training. I take 4 weeks holiday a year.